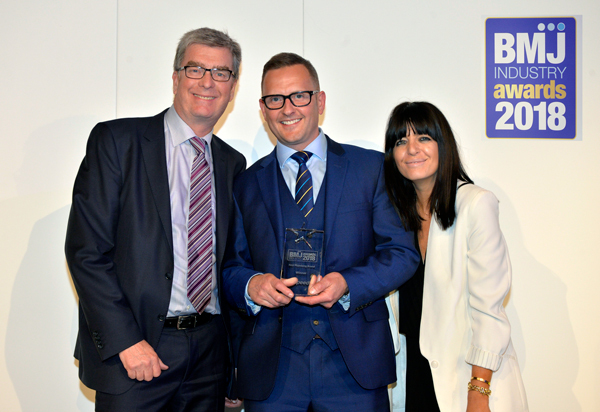 John Guest, world leader in push-fit plumbing and heating systems, was a big winner as it triumphed over stiff competition to win at the inaugural Builders Merchants Journal (BMJ) Awards 2018. 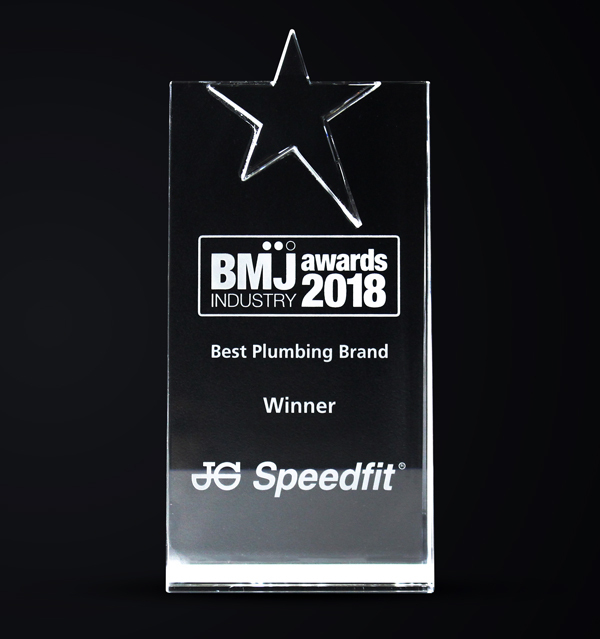 Trading under its JG Speedfit brand in the plumbing and heating sector, the company claimed the ‘Best Plumbing Brand’ gong in front of hundreds of industry peers. Held at The Brewery in Chiswell Street, London, the first ever BMJ Awards recognises and rewards talent and achievement throughout the construction industry, from merchant branches to supplier brands. The awards were split into three main sections, ‘Brands’, ‘Merchants’ and ‘People’. John Guest was entered under the brands category and was shortlisted against gas boiler manufacturers Baxi and dutch competitor Wavin. Accepting the trophy on the day, Mike Riseley, Director of Sales at JG Speedfit, said, “We are extremely proud to have won this prestigious title from BMJ, particularly as we were facing some strong brands in the sector. The BMJ Awards were voted for by people from within the construction and merchant industries via a secure online portal, rather than by a traditional judging panel. To find out more about JG Speedfit, please visit speedfit.co.uk.